What the heck is Kindle Scout? A few short years ago, Amazon launched a venture for new, never-before-published books where readers help decide a contract. Selected novels are published by Kindle Press and receive 5-year renewable terms, a $1,500 advance, 50% eBook royalty rate, rights reversions and featured Amazon marketing. The marketing part is a huge appeal. It’s the curse of most authors’ existence (I spit on you, hateful marketing gods!) Having Amazon shoulder the burden is a major plus. If a book is approved, the author receives a preview link to check the data submitted along with the Kindle Scout campaign launch date. All campaigns last 30 days. The more nominations a book receives the more likely it will get the attention of the Kindle Scout team and be selected for publication. Will the requirements make my head hurt? Nope. Submissions are taken all year long and eligibility standards are simple. The manuscript must be submitted in English and be 50,000 words or more. Authors must be 18 years of age or older, have a valid Amazon account, and reside in a Kindle Scout–eligible country. Five categories are available: Romance, Mystery & Thriller, Science Fiction & Fantasy, Teen & Young Adult, and general Literature & Fiction. Any downside with Kindle Scout for the author? Isn’t there always? The author is responsible for the book’s cover art. It must look professional, be ready to go when the manuscript is submitted, and satisfy Amazon’s specifications. Unless you’re a professional graphic designer, you’ll have to shell out money for an artist. The manuscript should also be professionally edited, free of typos and grammar errors. Paying for a good editor is a must. Kindle Scout doesn’t offer hardcovers or paperbacks, so if an author wants something to hold in his or her hot little hand, the printing cost are shouldered alone. For some, the lack of marketing decisions can be irksome. Amazon has total control. An author can’t run a 99 cent sale or post the first book in a series for free to drum up interest in the rest. Finally, the terms of the contract state that the book will only be available on Amazon, so bye-bye Barnes and Noble, any other site, and all ereaders who can’t open a MOBI file. What’s the benefit to the reader? You’re allowed to vote for three nominations. If your choice is a winner, Amazon will send a free copy of the ebook upon publication. No muss. No fuss. The only cost was a few minutes of your time to check out the book. You also get to proudly strut around the room and brag to others about supporting indy writers. Be honest. Do you think you really have a shot? Let’s put it this way… Amazon labels the popular Kindle Scout nominations in the smoking hot category. Even as a teenager I was only found in the dorky and peculiar category. The odds aren’t great, but if you don’t try, you can’t succeed. 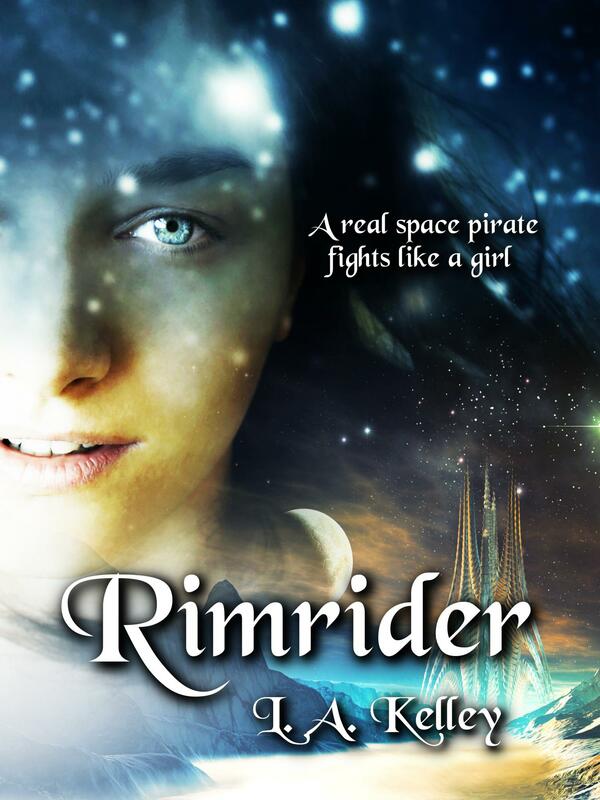 That being said I would greatly appreciate a vote for Rimrider by L. A. Kelley. It’s a science fiction space opera about a teenage girl who becomes a space pirate. Imagine the American Revolution with Earth as the redcoats and the colony planets as Yankee rebels and you get the idea. Intrigued? Click on the link and heartfelt thanks for taking a peek. It was my pleasure. Thanks so much for taking part in my blog!